When it comes to implementing any new initiative, communication is a critical success factor. A full menu of changes; some large and sweeping, some small but critical, will be generated by and with people in the organization over the course of the effort. How leadership chooses to broadly communicate these changes ― all together, in small or large portions, or one-on-one, can make a huge difference in the rate of adoption. It’s important to carefully consider how, when, why, what and where information / updates will be presented to fully engage employees and, ultimately, drive sustainable improvements. The way information is communicated to employees during times of change has a tremendous impact on the final results. If handled ineffectively, morale and productivity decreases ― despite the best of intentions. When there are looming questions and concerns, they lose faith. If employees don’t receive enough information, speculation and rumor can become truth. In the end, a disengaged workforce emerges, resulting in reduced effort and commitment just when their dedication is needed the most. How do you stop or prevent this from happening? It’s important for organizations to get their internal communications team involved from the very beginning. Too often, qualified communicators are involved after a backlash is in full force ― when leaks and rumors are rampant. CFOs and COOs are not typically qualified to understand how employees will respond to change and how best to share information. On the other hand, qualified internal communications professionals typically have proven expertise in change management, crisis communications, executive communications, etc. They need to have a seat at the leadership table. Don’t confuse process (e.g., visioning, chartering executive steering committees, planning, endless PowerPoint presentations, etc.) with communication. While those meetings and processes can be communication vehicles if designed mindfully and handled in the context of a broader program, they aren’t adequate to meet all communication needs. Discuss timing and when they will get more information. Update employees regularly to share victories and address pending issues. When employees are communicated with frequently, they are more likely to support the change for the long-term. 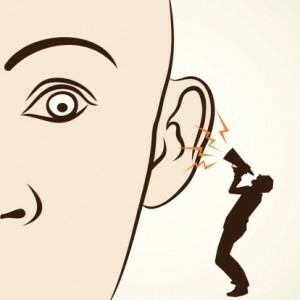 Information can and should also be repeated (through multiple channels), as research shows that most people have to hear something several times before they fully process the message. Some organizations make the mistake of using only one vehicle, such as e-mail or signage, to communicate changes. Considering not every employee digests information the same way, and that there are so many options to choose from, organizations that leverage a multi-channel approach ― combining email, intranet, social chat rooms, newsletters, presentations, face-to-face meetings, conference calls, etc. ― have more success. Leadership does not only need to understand how to explain the transformation, they need to understand when they should and should not be the ones to speak about it. They need to know how to keep things positive. They also need to be able to drill down and explain what change means to various audiences. Keeping them in sync is critical. It is often useful to test out messaging on a subset of stakeholders, especially when there’s time to do so. Testing can be done through focus groups, employee surveys, or a more informal round-table where individuals can practice delivering the message and get first-hand feedback. Giving employees multiple opportunities to share concerns, ask questions, and offer ideas is crucial to the process. The more two-way communication is made a priority, the better the organization can keep its finger on the pulse of what future communications need to include to meet the needs of the audience. Creates a culture of collaboration and accountability. Seek and incorporate input to make the changes work.